While I figure out how to better organize this blog, here is a list of my posts about how I am living, handling, and hopefully learning about my Interstitial Lung Disease. Some are serious, some are hopeful, some are light, but all are me. Note: This list runs backwards from the most recent posts. Fly, Eagles Kloutperks, Fly ! Pulmonary Rehab: Almost Time To Graduate/ What Next? Pulmonary Rehab 9/24: Doxys Are The Best Medicine. 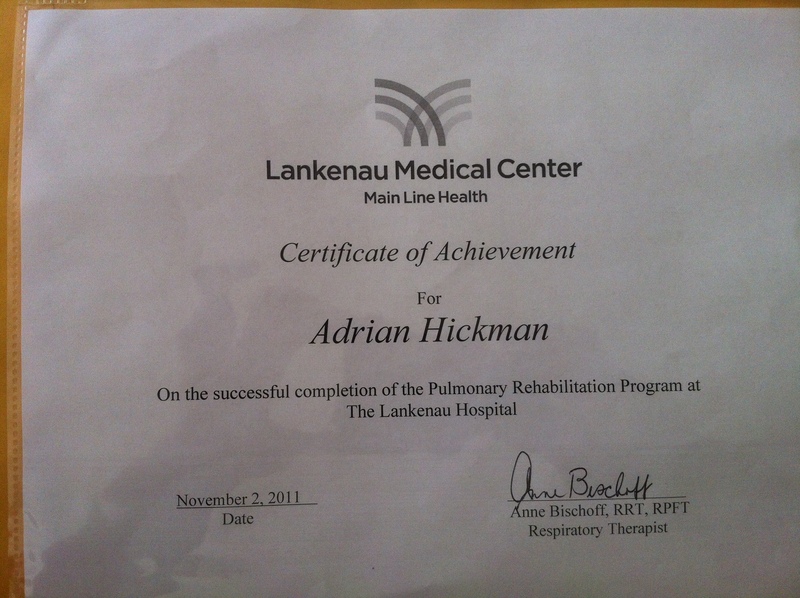 Pulmonary Rehab 8/17/11: Adrian Is Doing Well. Give Him A Sticker.